We swapped the cool of the mountains for the heat of the coast but we managed to find our best beach yet. 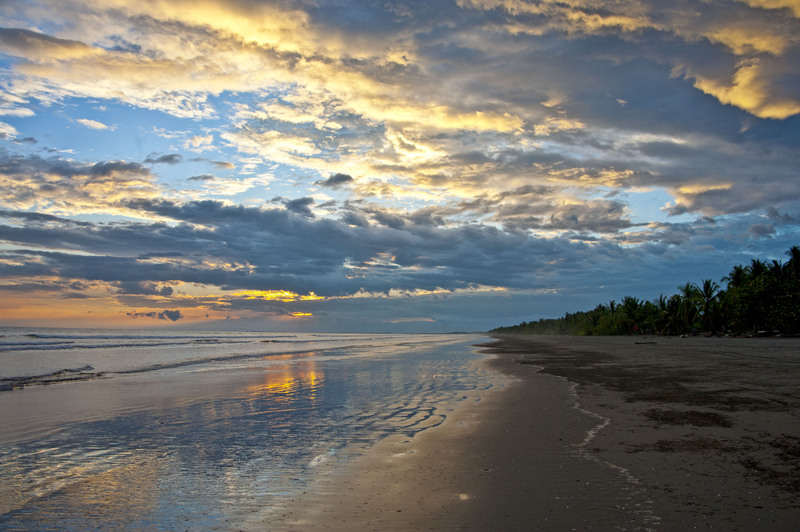 Las Lajas is a popular weekend destination for Panamanians who live in David. We managed to arrive on a Tuesday evening and had three nights parked right by the beach in wonderful solitude. 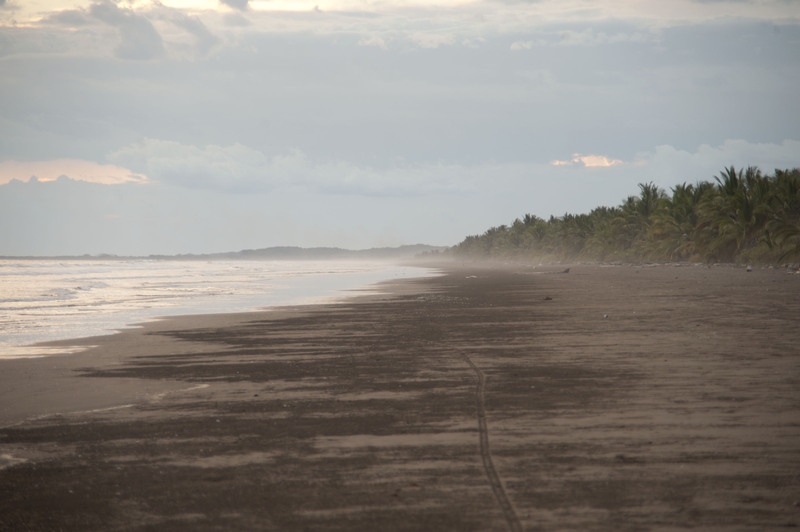 The beach here is white sand, long and wide – so long in fact that you can’t see either end when you stand on it. Almost the whole time we were there you could stand on the beach and as far as the eye could see there was not another soul. 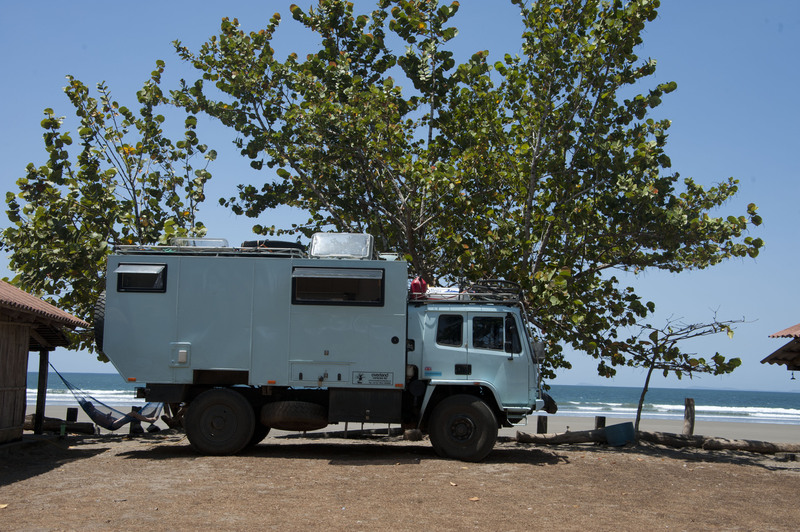 We parked up at Las Lajas Beach Cabinas which allowed us to have power, showers and toilets by setting up between two cabins. Throughout the week they were empty but the owner was expecting a busy weekend. This is as close to perfection as we have found! Thanks for the sensational read, and detailed information particularly on border crossings. What are your main references, books/blogs/websites, that you use to determine your route and overnight destinations? I know you have said that you have diverted from the plan a few times on overlander/local recomendations, but did you have the whole route planned before you left to the last detail? I wouldn’t mind seeing afew photos of the road conditions, or the “beast” when bogged. You probably did not feel like taking shots then though! We did a lot of planning before the trip, searching the web and getting GPS co-ords from peoples blogs of places that it is possible to stay. I tapped these all into Mapsource so that we can see them on a map – That’s the garmin mapping software. In mexico the Church & Church Mexican Camping book is invaluable – and everyone there has it. Americas Overland – The driving Handbook by Don Greene has also been helpful. Before we left we had a rough plan mapped out but knew that we wouldn’t stick to it. we’ve also had a rough plan in terms of dates per country which we have also loosely stuck too – although at one stage we were 1 month behind. We’ve got a trip to the Galapagos booked in May so this has been driving us forward. We will be less on plan after that. The route was definitely not planned to the last detail and there are lots of places we’ve been that we hadn’t even heard about when we were back home. When we’ve been stuck taking pictures has been low down the list of priorities ! Road conditions are really difficult to take pictures of. You can be on a really bad road and take a picture and it looks fine !